SBI PO Pre Exam Result 2015 SBI PO Preliminary Exam Result 2015 State Bank Of India Probationary Officers Prelims Mains Examination Result 2015 sbi.co.in. Every year the State Bank Of India conducts examination for recruitment to the posts of Probationary Officers ,Special Management Executives,Special Cadre Officers,Assistants,etc.This year the SBI conducted SBI PO Prelims Exam 2015 Recruitment on 20th, 21st, 27th And 28th June 2015.A huge number of participants attended this written recruitment examination.The State Bank Of India announced their SBI PO Pre Exam Result in three phases.The SBI PO Preliminary Exam Phase-I Result 2015 has been announced but the result of other two phases Phase-II Mains Exam And Phase-III Final are yet to be declared.Candidates looking for SBI PO Preliminary Exam Result 2015 please check below given steps. State Bank Of India Probationary Officer Recruitment 2015 Result Declared by SBI.The result has been hosted on SBI's official website www.sbi.co.in .Appeared candidates can now check their SBI PO Result 2015 by going through below provided link. Please refer below given steps on How To Check SBI PO Exam Result. 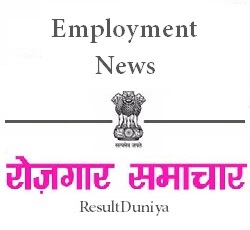 The State Bank Of India conducts PO Prelims Exam for recruitment to the post of Probationary Officer.The exam was conducted on 20th June 2015 ,21st June 2015 ,27th June 2015 And 28th June 2015. Candidates who will qualify in this prelims exam will be eligible for appearing in SBI PO Main Exam 2015. Prelim Exam Date: 20th, 21st, 27th And 28th June 2015. Result Declaration Date: In Between 7th July 2015 And 14th July 2015. Main Exam Result Declaration Date: Predicted to be declared in Between 21st September 2015 And 28th September 2015. Interview: Between 21st-28th September 2015. Final Selection: After 21st October 2015. How To Check/Download State Bank Of India SBI Probationary Officers PO Prelims Mains Examination Result 2015 Name Wise www.sbi.co.in ? * To Check SBI PO Exam Result 2015 first of all visit their official website from below given link. * Now goto their Portal Section. * Then click on Career With Us. * Now scroll down until you reach the advertisement "Recruitment of Probationary Officers in State Bank of India (2015-16)". Expand it by clicking on it. * Now click on "Result - Preliminary Exam Phase-I Phase-II Phase-III". All the candidates are requested to bookmark our website.If you have any problem regarding downloading or checking SBI Recruitment 2015 Result then please contact our website admin or you can simply leave a comment below.